Taking on the established names of the PC industry is a task fraught with danger, but every once in a while a maverick manufacturer comes along and manages to defy the odds. Those odds, it seems, aren't as heavily stacked in the chassis marketplace - where familiar brands such as Antec, Lian Li and SilverStone are facing growing competition from a group of newcomers that, to name but a few, includes Corsair, NZXT and Fractal Design. The latter, a Swedish company founded in 2007, aims to take the "less-is-more" mentality of Scandinavian design and use it to deliver, rather modestly, "a good alternative to the already established retail brands of today". Fractal Design isn't one for showboating, then, but sleek, streamlined and affordable chassis such as the popular Define R3 have enabled the manufacturer to quickly develop a fan base. 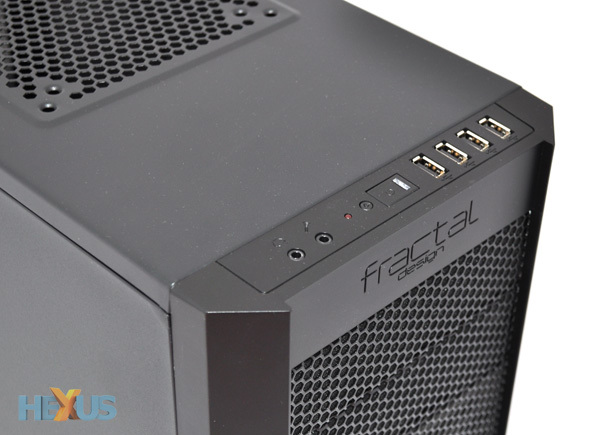 And, given the number of requests we've had to review a Fractal Design chassis, this is a company that's demanding attention through word of mouth - hence our decision to take a close look at the recently-launched Core 3000. 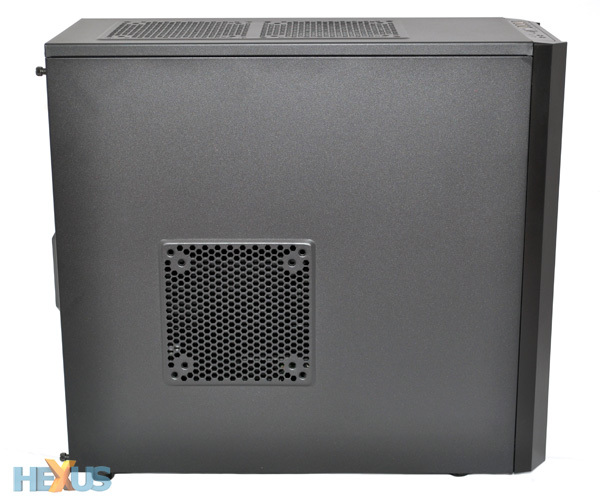 Introduced as the first of a new range of Core Series enclosures, the mid-tower Core 3000 purportedly offers a "unique combination of design, features, cooling performance and value". A current price tag of £52.95 has the value aspect covered, and the specification sheet - which we'll cover in more detail shortly - suggests that the chassis isn't lacking in features or airflow. Continuing the trend set by its existing product range, the chassis' exterior remains simple and understated. 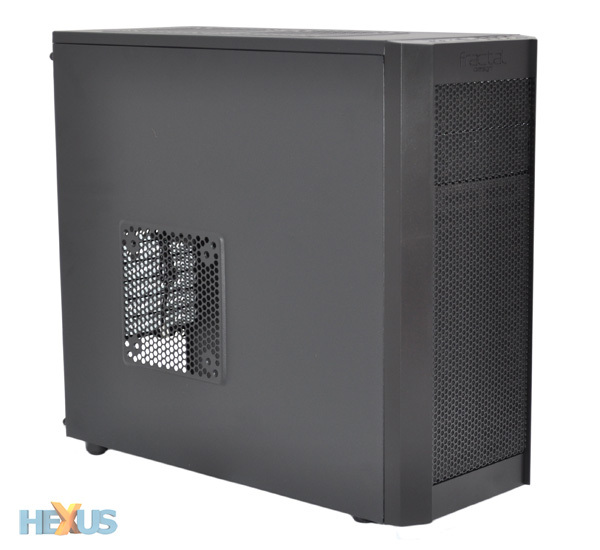 This isn't an enclosure that'll turn heads, but its straight lines and mesh frontage - which, it has to be said, bears close resemblance to the Antec 300 - help give it a classic look. 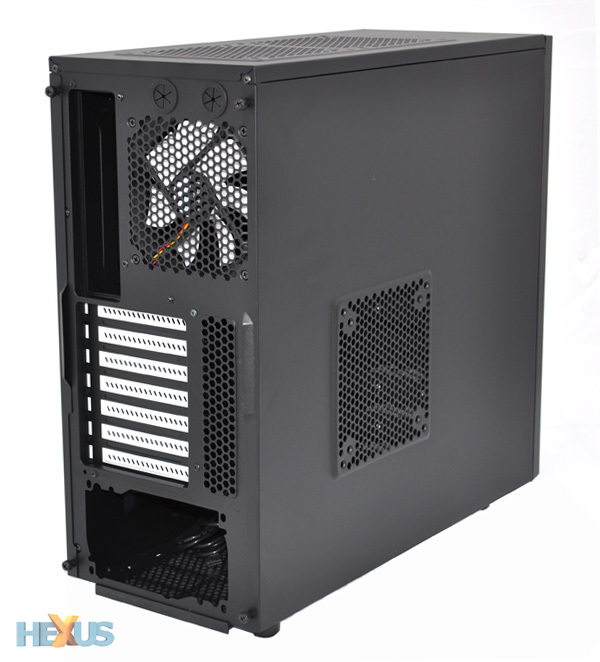 The chassis is available only in black, but Fractal attempts to spruce it up with contrasting white fans, expansion slots and HDD trays. The use of white colouring has been known to make or break a chassis design, but Fractal's found an acceptable middle ground - the internal bright-white accents are unusual, but not unpleasant. Mounted at the top of the chassis' front edge is an I/O panel that provides headset and microphone audio jacks, a hard-disk activity LED, a reset button, a power button with LED and four USB 2.0 ports. A standard selection, but one that's lacking the required level of attention to detail. Given the white highlights inside the chassis, we were expecting a matching white LED. Instead, the power LED illuminates in a fierce don't-look-directly-at-it blue, and the hard-disk activity light pulses in red. Minor niggles, perhaps, but the lack of continuity does detract from an otherwise smart exterior. The fact that the I/O panel is removable suggests that a USB 3.0 upgrade may be made available at a later date, and we hope Fractal takes that opportunity to spruce up the LEDs. A pair of top-side 120mm/140mm fan slots suggests that the Core 3000 is optimised for performance, and the chassis supports of up to seven fans in total. The remaining slots are made up of 120mm and 140mm front intakes, a 120mm bottom intake, a 120mm/140mm slot in the side panel and a 120mm rear exhaust, but only three white Fractal Design fans are bundled as standard - a 140mm front intake, a 140mm top exhaust and the 120mm rear exhaust. 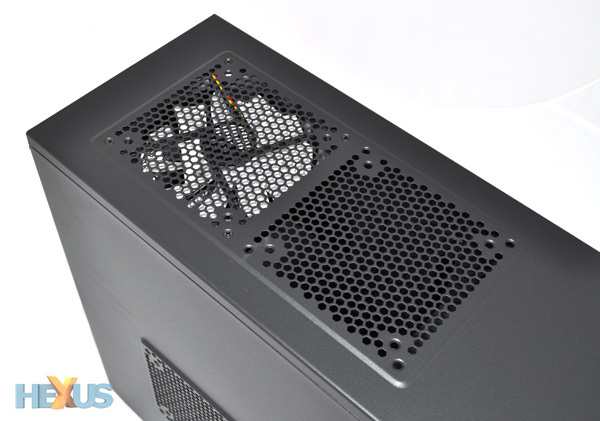 The 200mm x 430mm x 480mm steel frame looks fairly basic, but with a price tag that puts it up against the likes of Cooler Master's HAF 912 and CM 690 II, as well as the Antec 300, Fractal's Core 3000 is going to have to impress underneath the hood.